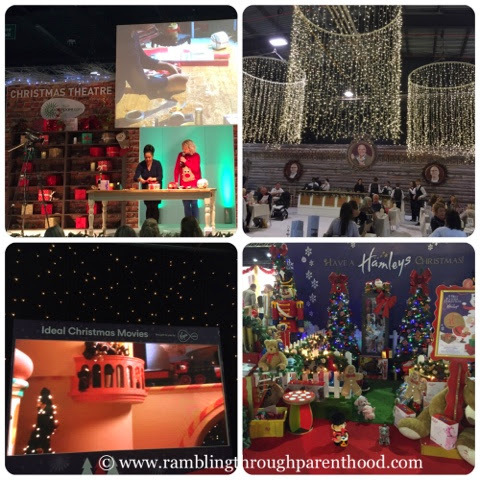 The Ideal Home Show returned to Event City in Manchester with a Christmas spectacular last weekend, and I was delighted to attend. Due to other commitments, I had to forego the chance to attend the grand opening on day 1 with all the celebrities in attendance. I missed the chance to see my favourite chef Gino D'Acampo in action, but I was not about to miss the Show itself. So with M and J in tow, I made it to day 2 of the Ideal Home Show. The event did not disappoint, and more than lived up to all my expectations. The venue was transformed into a winter wonderland with lots of Christmas trees, fairy lights and artificial snow. There was even a Christmas Bandstand with choirs and singers from across the region adding to the festive atmosphere. There was no dearth of festive inspiration and Christmas-based shopping either. From an array of decorations to a range of potential presents to choose from, there was something for everyone. The radio partners to the Show, Smooth FM, got right into the spirit of the season with a very handy free gift-wrapping service on-site. We spent most of our day wandering about the numerous stalls, trying this, sampling that, buying another, and then some more. Unsurprisingly, the food and drink section took up most of our day. 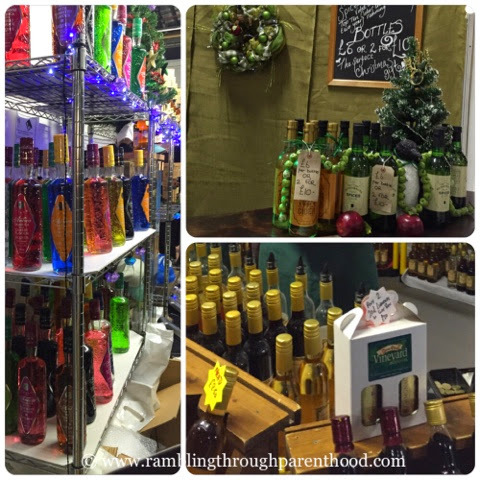 There were some really good products available, from the more traditional mulled wines, to the innovative British mulled cider. In the end, we settled for a selection of drinks from Cwm-Deri Vineyard. There was a wide range of sweet and savoury foods to choose from. I caved in to the pressure from my sweet tooth and ended up buying some utterly divine fudge from Matt and Ben's Proper Fudge Company and a selection of cakes from The little round cake company. 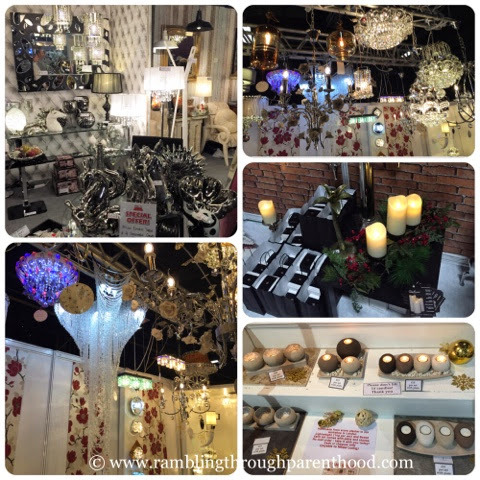 The lighting section of the Ideal Home Show was another one that really caught our eye. There is something about chandeliers that just screams opulence. Some of the light fittings in our house are quite dated, and we have been on the look-out for something more modern for a while now. After a huge amount of speculation and debate, M and I finally settled on something we like, from Luminer. It was not all just shopping at the Ideal Home Show. There was plenty of fun to be had as well. How else do you think my three year old survived his mother's retail therapy? Go Compare, the sponsors, had a giant snow globe that you could step inside of, and have a picture taken that then got made into a key ring. J even found a shiny golden throne and pretended to be king. Virgin Media had set up what proved to be a very popular cinema theatre. We caught a little bit of Miracle on 34th street, with J relaxing on some bean bags with a bottle of juice, while M and I got ourselves a couple of minutes of quiet and coffee. The Greg Wallace Restaurant was as popular as expected, so we passed the opportunity to have a sumptuous afternoon tea. 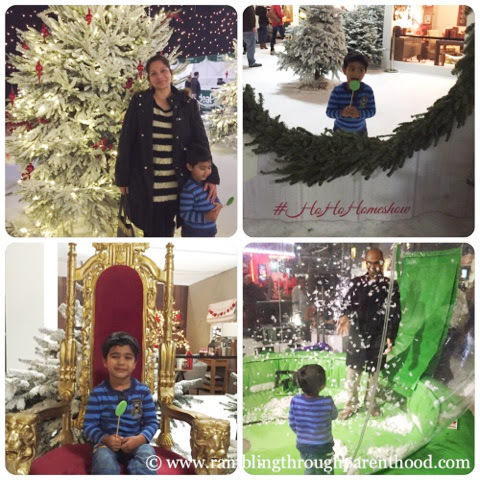 But the Hamleys stand got all the attention it deserved from my little boy. We had to pry him away, almost, but not quite, kicking and screaming. 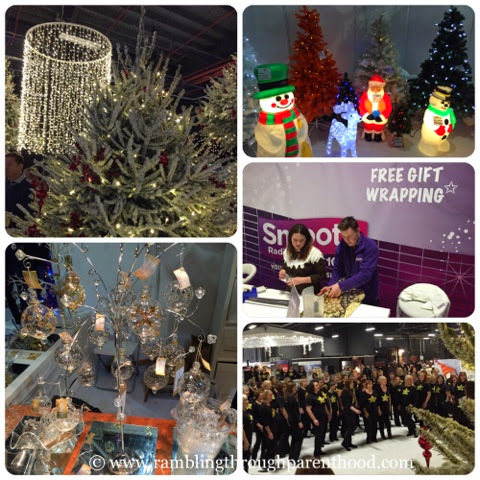 The Ideal Home Show at Christmas was a shopper's paradise. With over 300 stalls covering everything from Christmas gifts and decorations to home improvements, food and drink, beauty and technology, we were spoilt for choice. If only I had a lot more money, and a lot more space to house everything in, I would probably have bought a good few more things. Maybe next time. Disclaimer: I was given a pair of tickets to attend the Ideal Home Show at Christmas in Manchester in exchange for this post. All opinions are my own. Wow it was great wasn't it? I was there on the Friday and it made me feel very Christmassy! 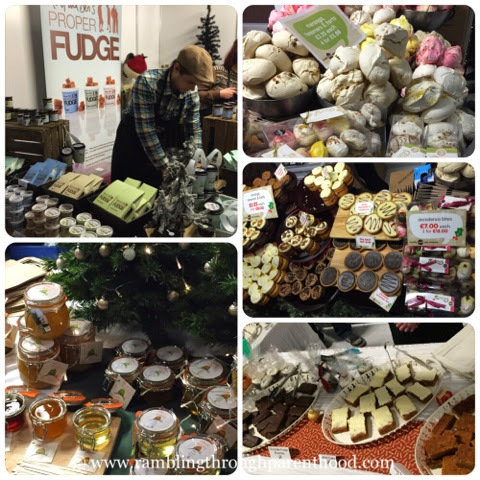 Looks like a great day out, and perfect for getting you in the Xmas spirit, and I love proper fudge - yum! It looks like a fantastic event. I would love to attend next year to get some inspiration for our new house. I love this kind of thing. The giant snow globe sounds like a great plan.